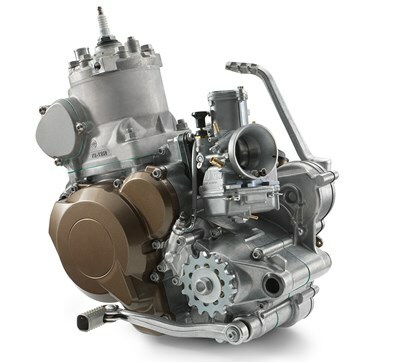 The TE 250i features an electronic oil pump which feeds vital 2-stroke oil into the engine . 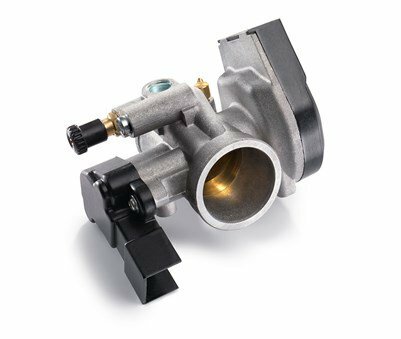 The pump is located just below the oil tank and feeds the oil via the throttle body meaning the oil is not mixed with the fuel eliminating the need for pre-mixing as on traditional 2-stroke engines. 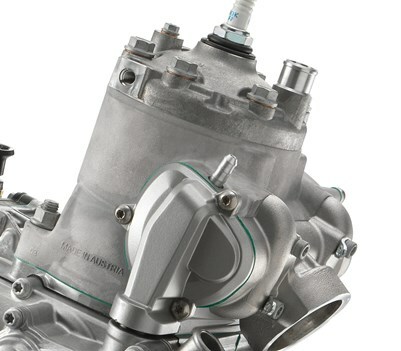 The pump is controlled by the EMS and delivers the optimal amount of oil according to the current RPM and engine load reducing waste as well as excessive smoke being transmitted from the exhaust. 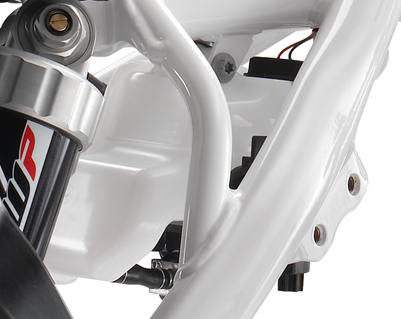 The oil tank is located beneath the fuel tank and is connected to a filler hose which runs through the upper tube of the frame to a filler cap conveniently located for easy refills. 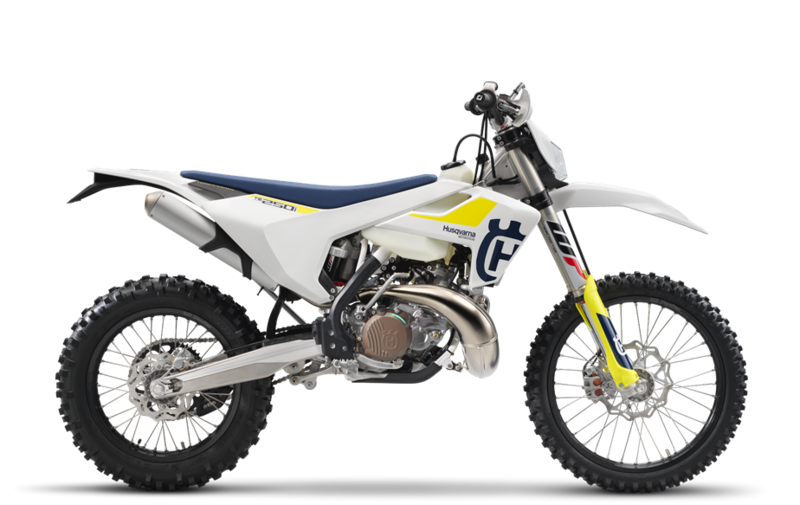 The tank capacity is 0.7 l and is connected to a low level sensor which illuminates notifying the rider when the tank needs refilling..